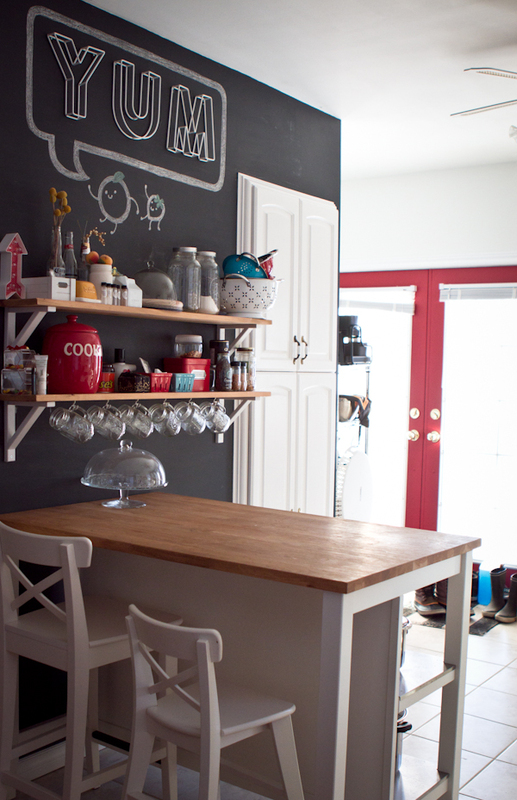 One of the rooms I love for DIY projects is my kitchen. Not only that DIY projects make your kitchen look more beautiful, visually appealing and so on, they also improve the functionality. I don’t think I know a guy or a girl that has absolutely no clutter in his/hers kitchen. 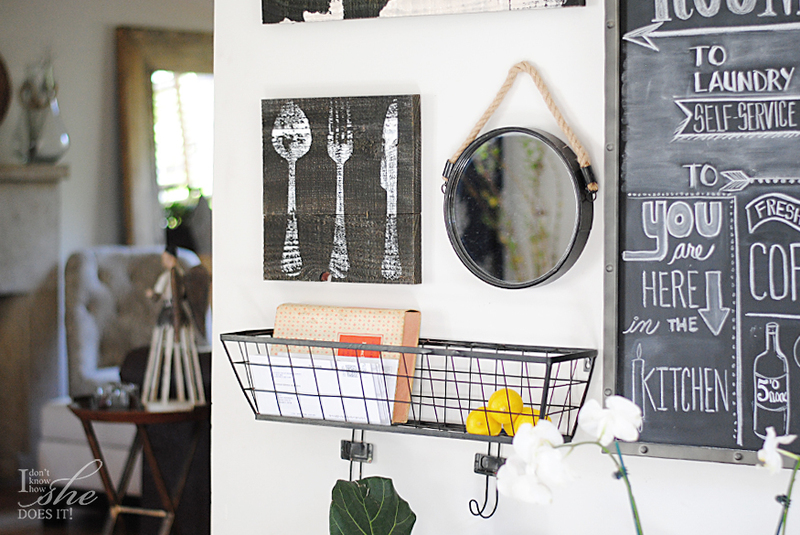 Clutter is an accessory in the kitchen. But, even if you cannot completely get rid of clutter, you can organize it in a manner that your kitchen looks clean and functional. Here are some ideas. If you are living in a rental house, chances are, you are forbidden to put holes in the wall. 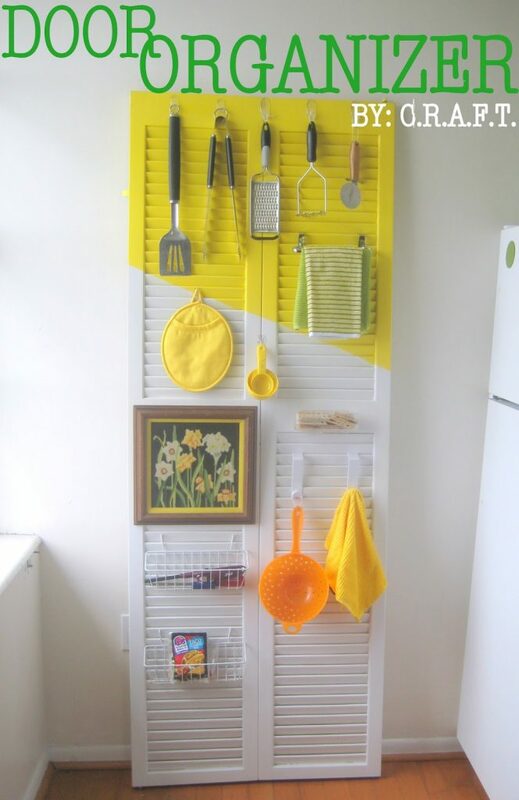 Well, this door organizer takes care of that problem while adding extra shelf space to your kitchen and putting all your most important tools in one spot. All your kitchen ware will be in hands reach, making it easier for you to cook. Expect a lots of wall racks on the list. 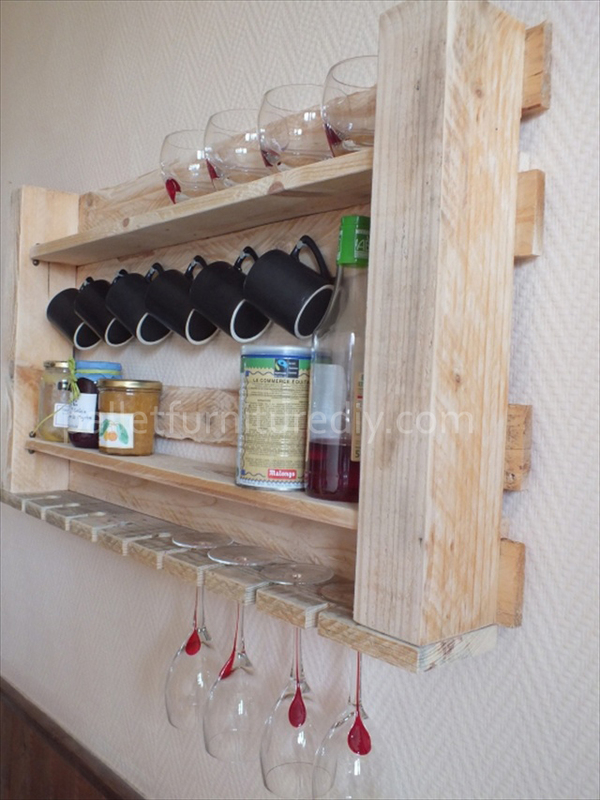 To start you off, we go with a rustic wall rack that is as simple as cutting one wooden part and placing on your wall. 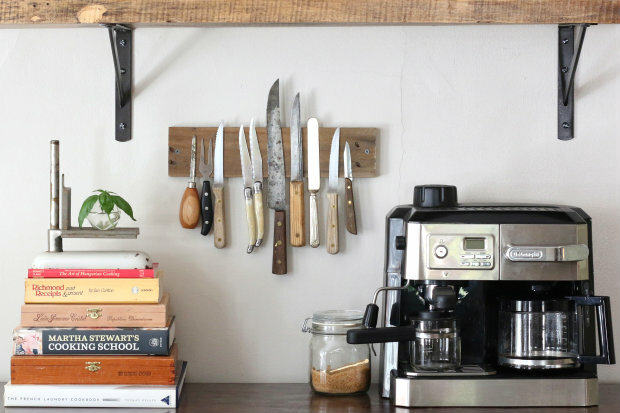 The rack will help you organize your knifes, while adding a rustic and traditional feeling to the kitchen. Now here is a project that has no effect on the functionality on your kitchen in organizing manner. However, if you are exposed to sun and sunlight, you might want some shades that will help you avoid sun exposure. 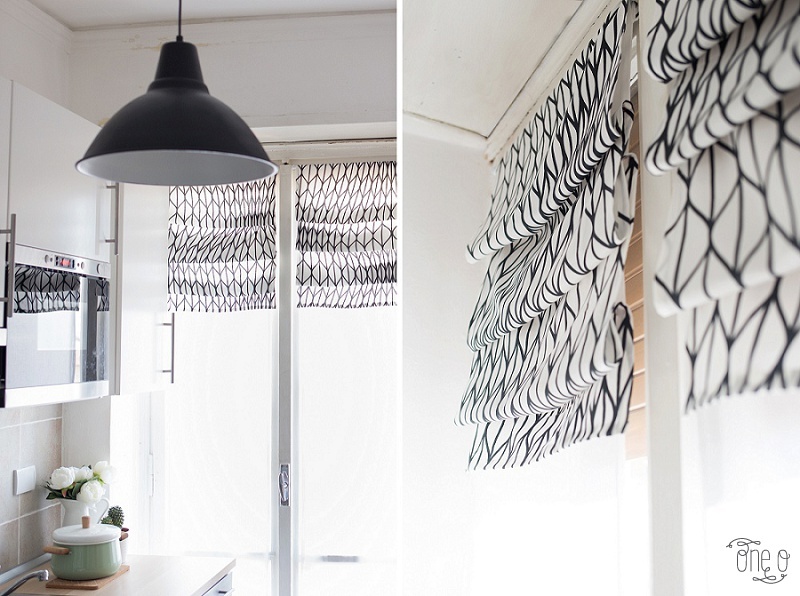 These faux roman shades require no sewing, making them easy to make in few minutes. 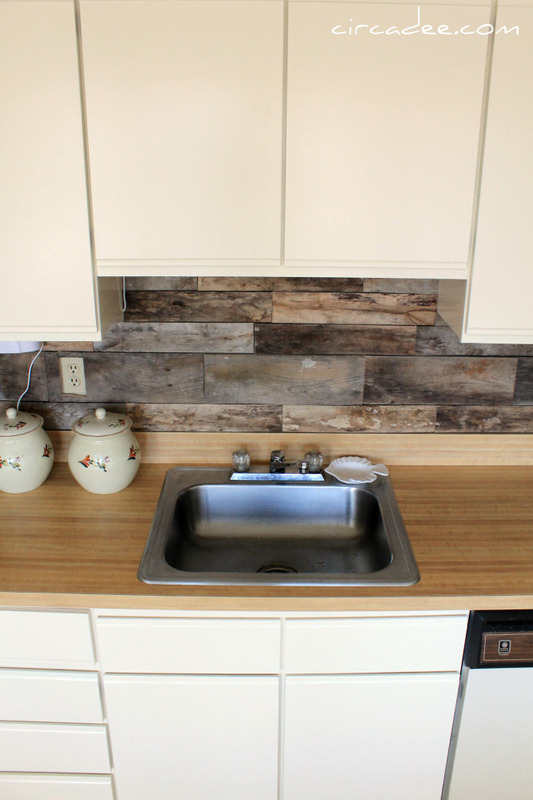 The backslash in your kitchen is usually the first place you want to change for a rustic feel. 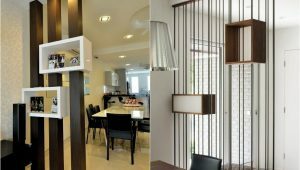 This project won’t improve your functionality and practicality, but it will give you a visual appeal like nothing else. 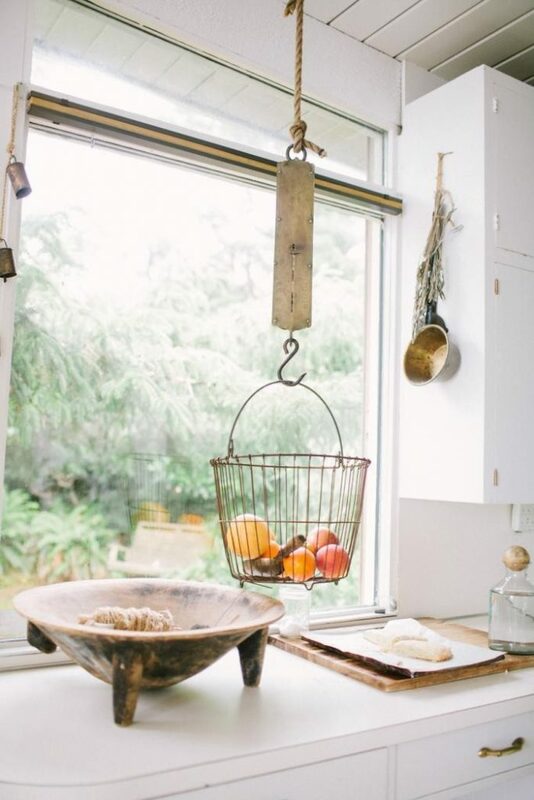 Rustic kitchens have become THE TREND in interior design, so pull your sleeves off and start working. If you’ve ever been to a bakery, you’ve seen how a cake stand looks. 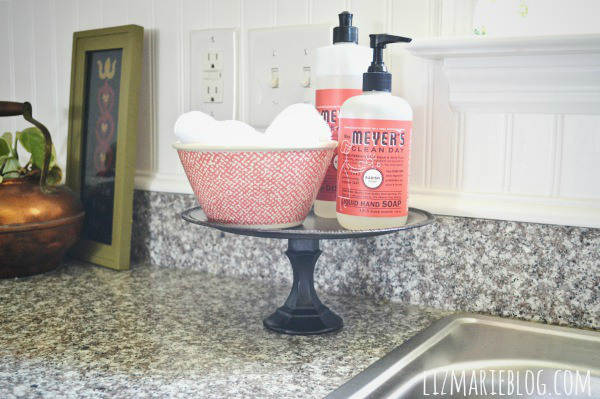 You’re probably asking yourself why would you need a cake stand in your kitchen? Well for starters, you can display several other stuff there, not just cakes. And you can use the cake stand for keeping some important items at arm’s reach. Some people like coffee, some people love tea. In both cases, you can be sure there are lots of cups flying around in the kitchen. With three cups of coffee or tea per day, chances are, you are not washing them and storing them after drinking your cup. And you always need more cups in better organized way. I present you, the coffee cup holder. 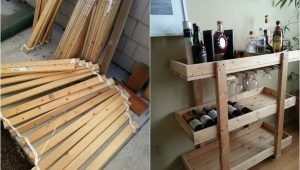 Ladders are one of the best items for recycling in DIY projects, and their versatility is off the charts. Here, we have a pot rack made from ladder. In most cases, ladders are used horizontally in the kitchen, hanging on the ceiling. But who’s to say ladders can’t be placed vertically? Check it out. I’ve written recently on mason jars and their usage, and I am giving you this one just to remind you how useful jars can be for organizing your home. In the kitchen, mason jars are perfect for storing your spices and herbs. Duct tape can fix absolutely everything, including furniture in the kitchen. 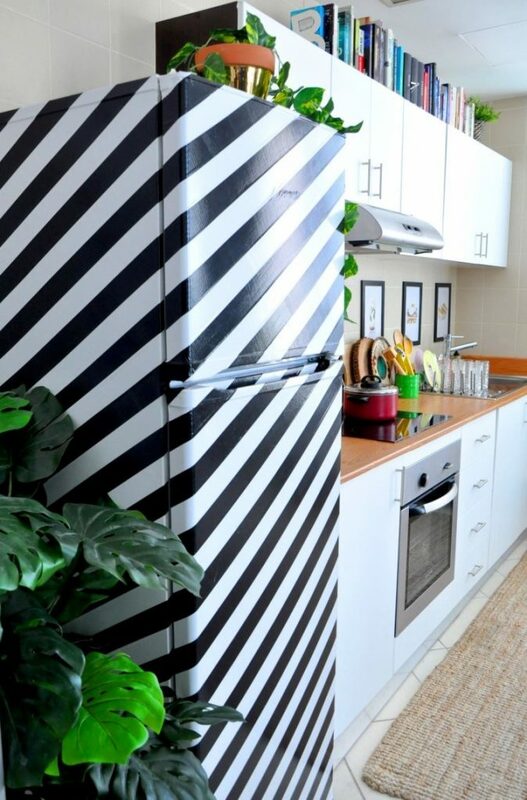 Let’s take a look at this refrigerator, that has been given a new visual appeal and contemporary edge thanks to duct tape. Wall graphics and wall designs have become one of the most popular trends in interior design, thanks mostly to the influence of Scandinavian design. But now, contemporary and modern designs have tweaked wall designs, and I’ve got one that is perfect for your kitchen. Pallet wood is one of the core items of the shipping industry. And after the item has been delivered/shipped, the pallets are then being reused. 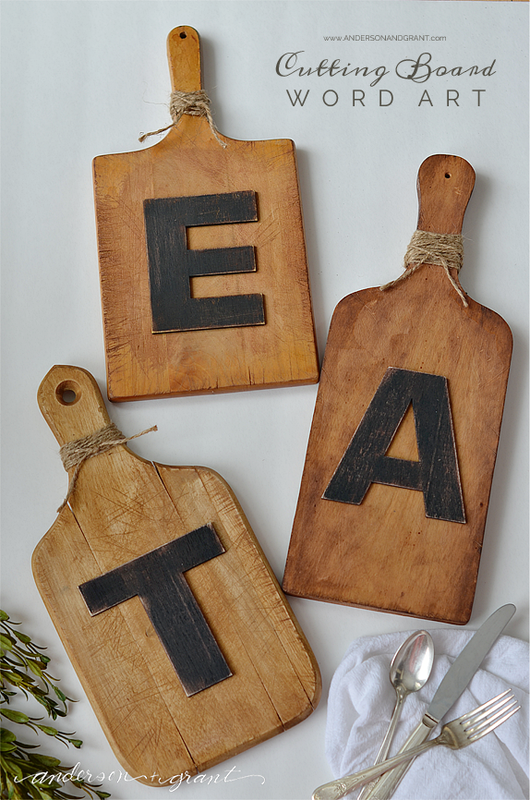 So why not reuse or recycle those pallets in your kitchen? And in the process, you’ll get more shelf space in your kitchen, making it easier to organize everything and get rid of clutter. I already gave you a project for keeping your knifes in a rustic rack, but now I am giving you something better: a way to store knifes that they are safe and stay sharp. 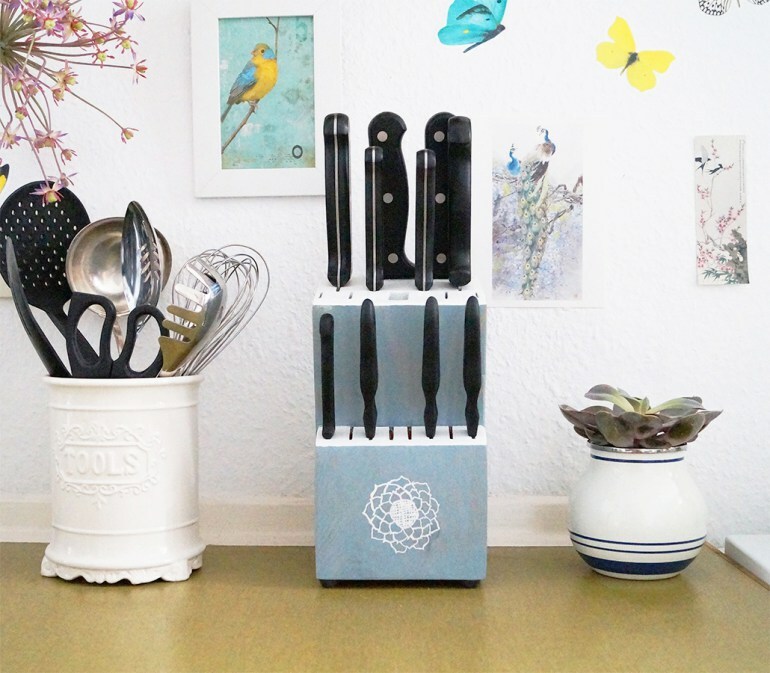 The “knife block” can also be used for flowers. Nowadays, the reality is that most people live in apartments, not in houses with big yards. And in such cases, growing your own herbs and spices is a challenging task. 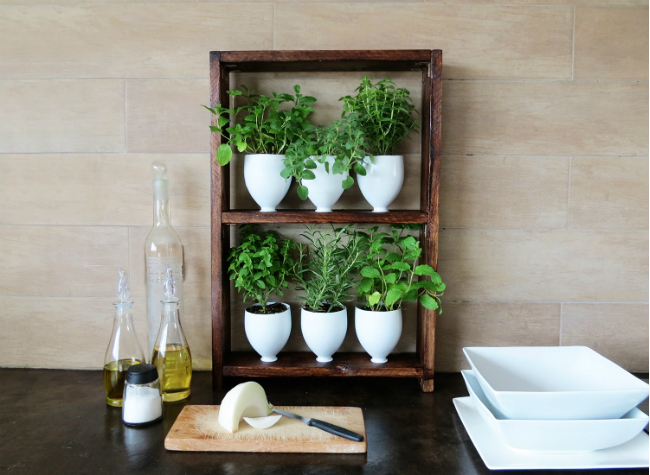 Luckily for you, I’ve got a project that will help you create herb garden in your kitchen, and all you need is a couple of plastic bottles. Let’s say you have an old dresser in your house that you do not use any more. And you want to throw it away. Right? Wrong! 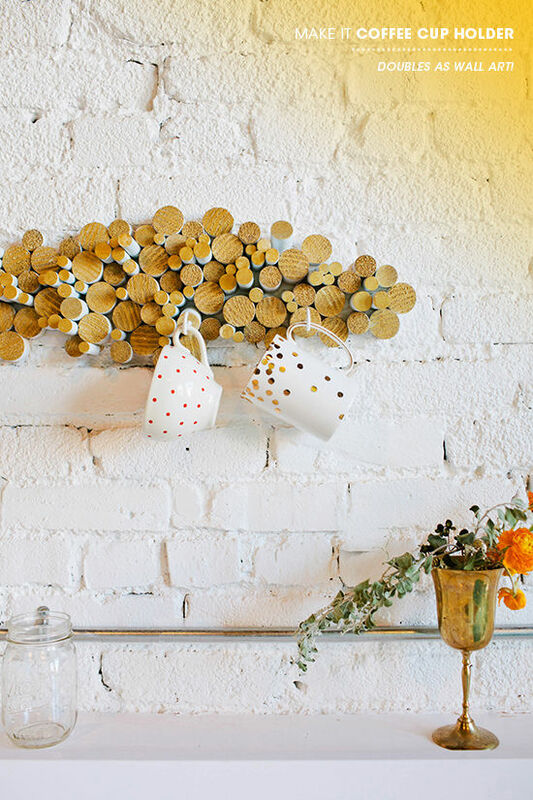 At least not until you’ve explored all options for recycling and reusing your dresser. I always tell people do not throw anything away until you are sure there is no use for it in any other way, not just the conventional way. This old dresser, for example, can be turned into completely new kitchen island. The best part about this project is that you can easily involve your kid into it. The process is not easy. In fact, it is time consuming. But at the end, you’ll get an item both you and your kid will be proud of. Isn’t that worth your time? Now this rug can be placed in any room, kitchen, bedroom, living room, children room. Anywhere! It all depends on the patterns and design you come up with. Just take a look at the process. As I mentioned, even the oldest and crappiest looking item in your home can be transformed into new and unique piece of furniture. 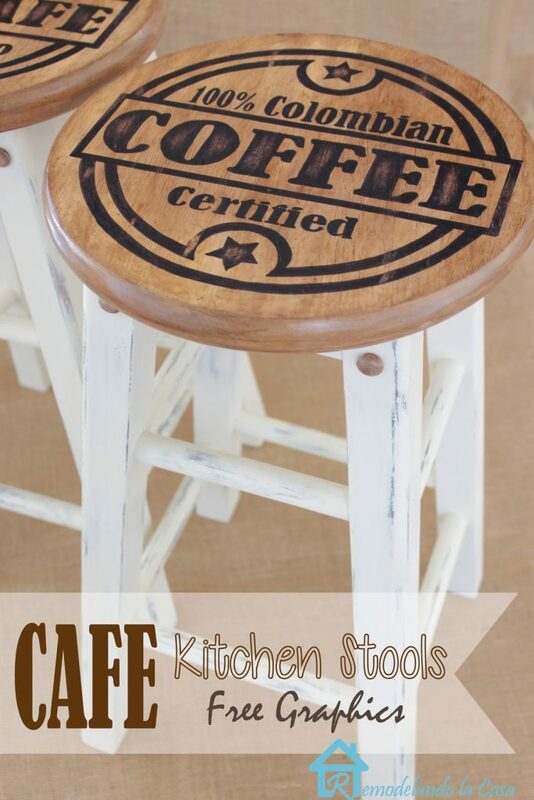 Take a look at these customized kitchen stools. Look at before, and the after pictures and get ready to be mesmerized. Tiling is not an easy process, and in the kitchen, it can get especially challenging. What color of tiles? Patterns or no patterns? 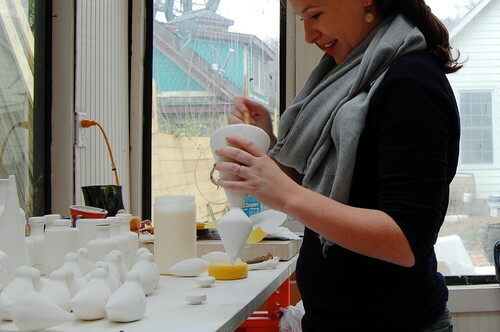 The end result is always beautiful, but now I would like you to check the not so beautiful aspect of the process. Take a look at the step to step guide how one kitchen was completely transformed just by tiling. 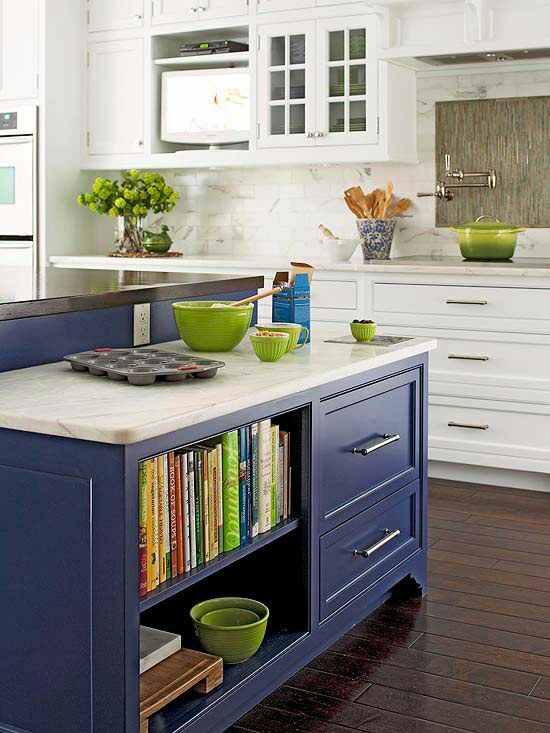 Now, not everyone is bold and courageous enough for bold colors in the kitchen. That is why, you always want to see pictures of before and after. What is the benefit of bold colors? 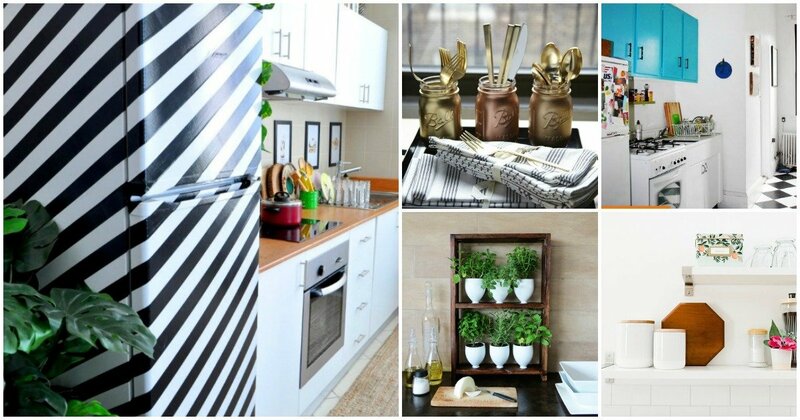 Well, your kitchen for once will look more interesting than the boring dull all white color. 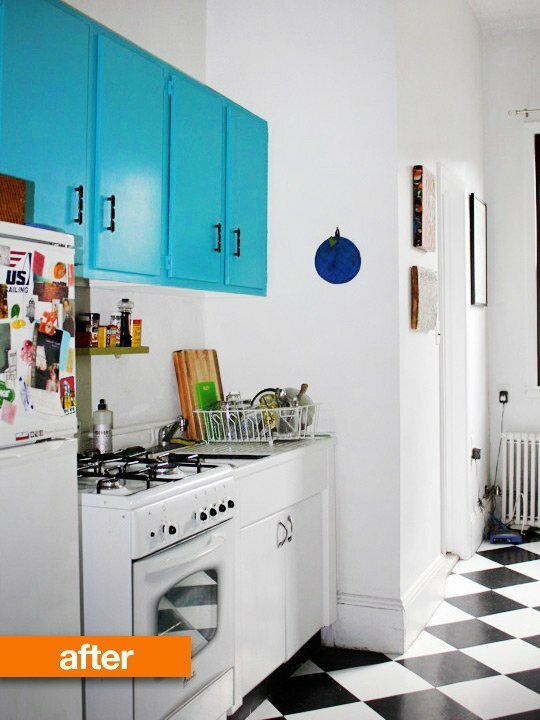 I love classics from time to time, but all white kitchen is something I cannot stand. When faced with all white interior, one thing I love to do is add touches and subtle colors. 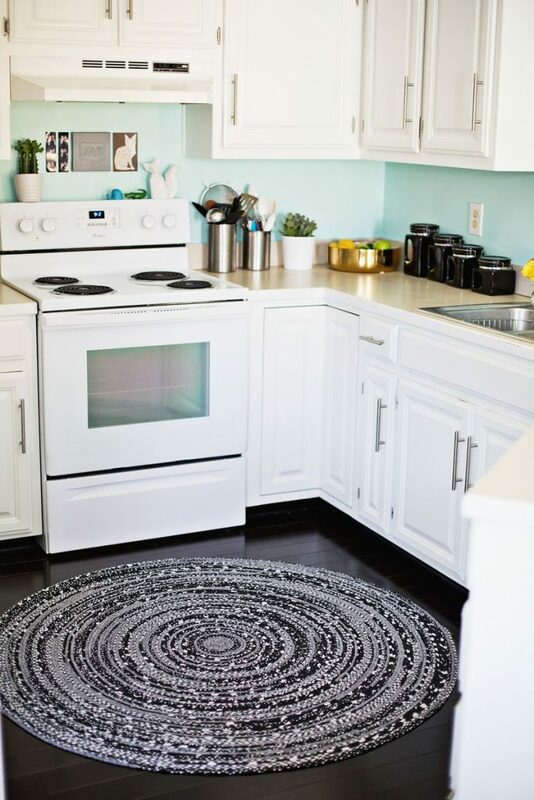 This is exactly I project I would love to do in an all-white kitchen. In a subtle way, this couple has managed to give the space calm and harmonious vibe. 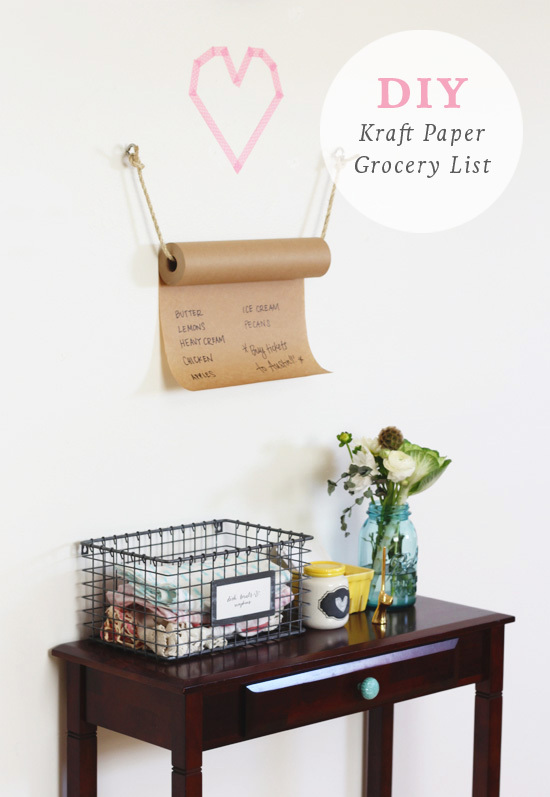 Who doesn’t have a grocery list? I hate and I love grocery lists. I think I cannot live without grocery lists. With so many things on my mind, I often forget what I need to get from the grocery. That is why, I always make grocery lists. And if you want to take things up a notch, here is one grocery list that you’ll absolutely adore. 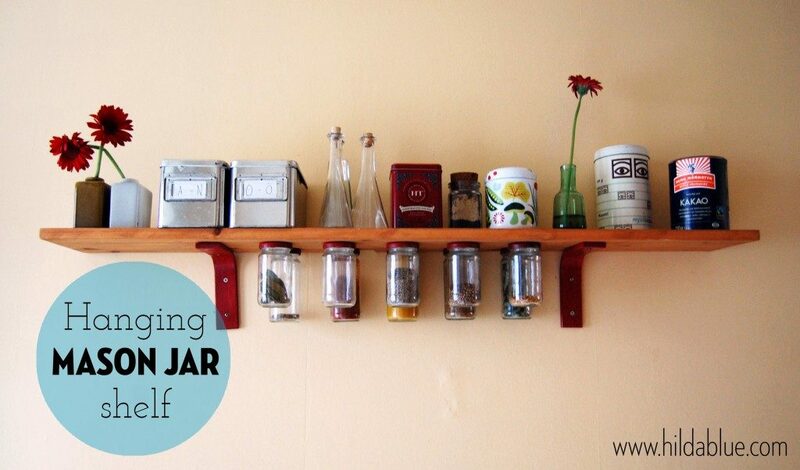 Yet another mason jar project that will help you get rid of clutter in the kitchen. 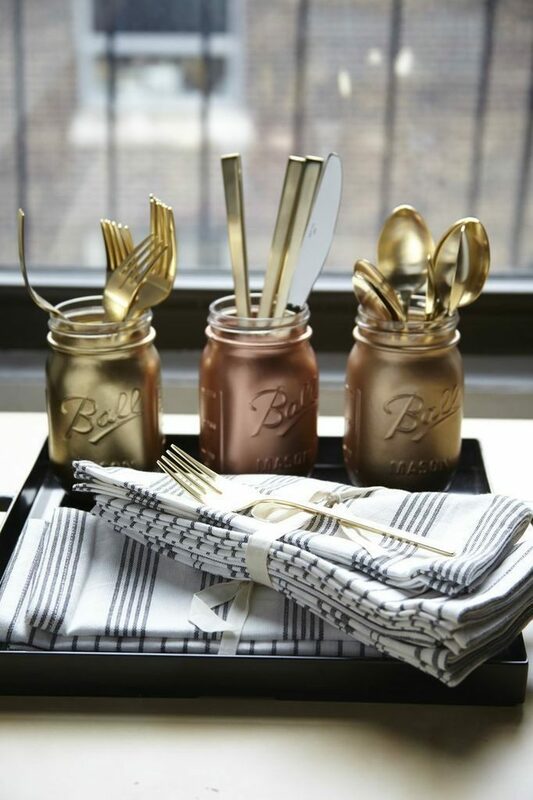 In this case, the mason jars are used for organizing your flatware. Simple, and easy! 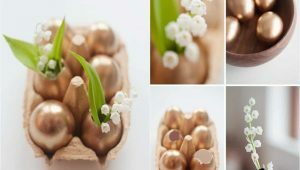 This project combines several aspects of DIY. 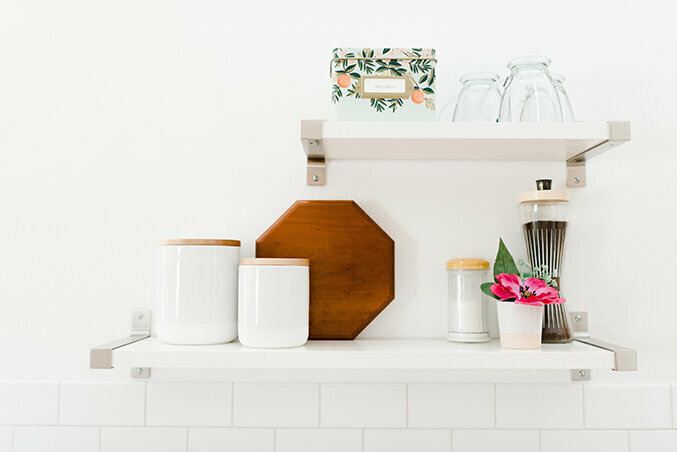 For one, it helps you organize your stuff in the kitchen. However, in the same time, the project adds a visual appeal and unique factor to the kitchen, giving it modern and urban vibe. I’d love to challenge you to do something. Get rid of your traditional 3-tier products basket. 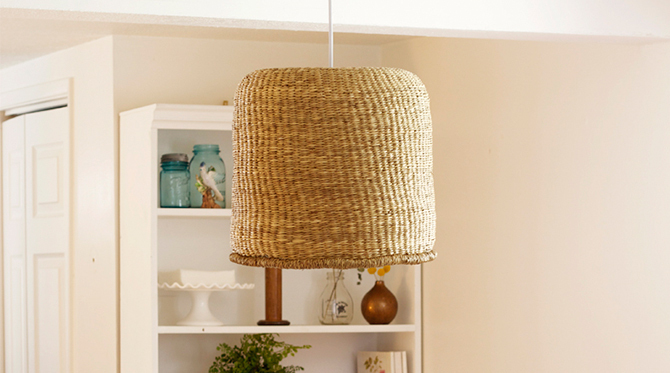 Hang a basket from your ceiling. You think it is impossible? And unpractical? Well, check this project out, and you’ll see for yourself. This is arguably one of my favorite projects on this list. Why? Because it combines two styles that are incompatible with each other on first glance. Imagine mixing rustic and urban vibes? Well, it is all possible, and while the project has used the cutting boards for writing “wine” near their wine shelves, you can go a step further and come up with your own message.